The majority of the state governments ratified the amendment by the mid-1930s; however, it has not been ratified by the requisite three-fourths of the states according to Article V of the Constitution and none has ratified it since 1937. Interest in the amendment waned following the passage of the Fair Labor Standards Act of 1938, which implemented federal regulation of child labor with the Supreme Court's approval in 1941. The amendment was itself the subject of a 1939 Supreme Court decision, Coleman v. Miller (307 U.S. 433), regarding its putative expiration. As Congress did not set a time limit for its ratification, the amendment is still technically pending before the states. Ratification by an additional ten states would be necessary for this amendment to come into force. 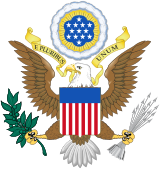 With the Keating–Owen Act of 1916, the United States Congress had attempted to regulate interstate commerce involving goods produced by employees under the ages of 14 or 16, depending on the type of work. The Supreme Court found this law unconstitutional in Hammer v. Dagenhart (1918). Later that year, Congress attempted to levy a tax on businesses with employees under the ages of 14 or 16 (again depending on the type of work), which was struck down by the Supreme Court in Bailey v. Drexel Furniture (1922). It became apparent that a constitutional amendment would be necessary for such legislation to overcome the Court's objections. The amendment was offered by Ohio Republican Congressman Israel Moore Foster on April 26, 1924, during the 68th Congress, in the form of House Joint Resolution No. 184. The following fifteen state legislatures rejected the Child Labor Amendment and did not subsequently ratify it: Connecticut (1925), Delaware (1925), Florida (1925), Georgia (1924), Louisiana (1924), Maryland (1927), Massachusetts (1925), Missouri (1925), North Carolina (1924), South Carolina (1925), South Dakota (1925, 1933 and 1937), Tennessee (1925), Texas (1925), Vermont (1925), and Virginia (1926). Although the act, on the part of state legislatures, of "rejecting" a proposed constitutional amendment has no legal recognition, such action does have political ramifications. Of the 48 states in the Union in 1924, five have taken no action of record on the amendment: Alabama, Mississippi, Nebraska, New York and Rhode Island; neither have Alaska nor Hawaii, both of which became states in 1959. On March 15, 2018, a concurrent resolution (numbered as "A. 10107"), to belatedly ratify the Child Labor Amendment, was officially introduced in the New York Assembly, the "lower" house of the New York Legislature. It has thus far received no further consideration than to be referred to that chamber's Committee on Judiciary. Presently, there being 50 states in the Union, the amendment will remain inoperative unless it is ratified by an additional 10 states to reach the necessary threshold of 38 states. Only five states adopted the amendment in the 1920s. Ten of the states initially balked, then re-examined their position during the 1930s and decided to ratify. These delayed decisions resulted in much controversy and resulted in the 1939 Supreme Court case Coleman v. Miller (307 U.S. 433) in which it was determined that the Child Labor Amendment remained pending before the state legislatures because the 68th Congress did not specify any deadline. The ruling also formed the basis of the unusual and belated ratification of the 27th Amendment which was proposed by Congress in 1789 and ratified more than two centuries later in 1992 by the legislatures of at least three-fourths of the 50 states. The common legal opinion on federal child labor regulation reversed in the 1930s. Congress passed the Fair Labor Standards Act in 1938 regulating the employment of those under 16 or 18 years of age. The Supreme Court ruled unanimously in favor of that law in United States v. Darby Lumber Co. (1941), which overturned Hammer v. Dagenhart – one of the key decisions that had motivated the proponents of the Child Labor Amendment. After this shift, the amendment has been described as "moot" and lost the momentum that had once propelled it;hence, the movement for it has advanced no further. If ever ratified by the required number of U.S. state legislatures, the Child Labor Amendment would repose in the Congress of the United States shared jurisdiction with the states to legislate on the subject of child labor. In 1933 J. Gresham Machen, who was a major voice at the time for Evangelical Fundamentalism and conservative politics, delivered a paper called Mountains and Why We Love Them, that was read before a group of ministers in Philadelphia on November 27, 1933. In passing he mentions the Child Labor Amendment and says "Will the so-called "Child Labor Amendment" and other similar measures be adopted, to the destruction of all the decencies and privacies of the home?" ^ "The Constitution of the United States of America: Analysis and Interpretation, Centennial Edition, Interim Edition: Analysis of Cases Decided by the Supreme Court of the United States to June 26, 2013" (PDF). Washington, DC: U.S. Government Printing Office. 2013. p. 50. Retrieved July 11, 2014. ^ "Keating-Owen Child Labor Act of 1916". Our Documents. National Archives. Retrieved October 20, 2012. ^ a b c James J. Kilpatrick, ed. (1961). The Constitution of the United States and Amendments Thereto. Virginia Commission on Constitutional Government. pp. 68–69. ^ Strauss, David A. (2010). The Living Constitution. Oxford University Press. pp. 125–126. ISBN 9780195377279. ^ Gresham Machen, J. (August 1934). "Mountains and Why We Love Them". Christianity Today. This page was last edited on 8 March 2019, at 01:30 (UTC).